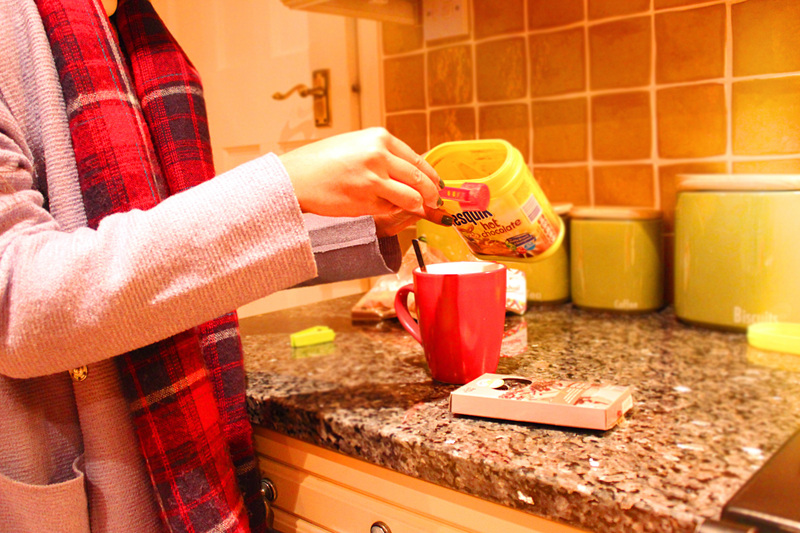 Heey guys today I wanted to talk about how I layer my hot chocolate with lets say different layers of fat. So let me just say this from the beginning this is not going to be one of those healthy snacking posts. Lets just put it this way it is the Festive season so we are allowed to have treats like these once in a while. 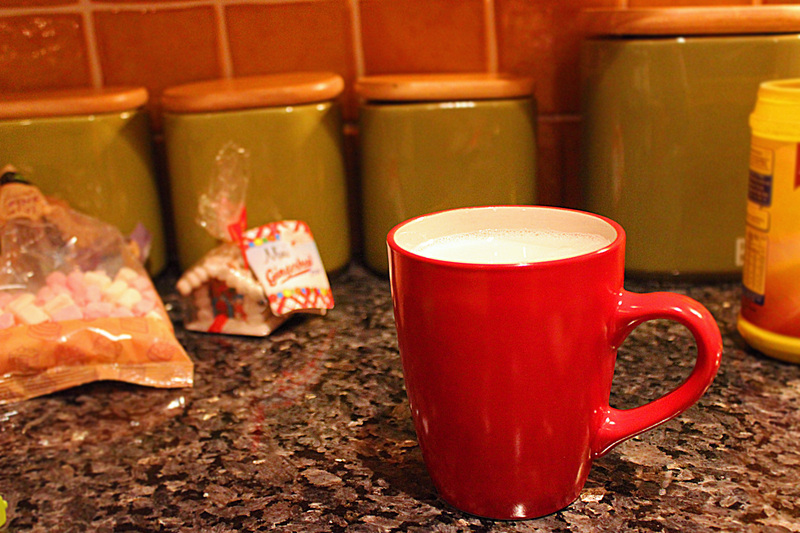 I start of with warming some milk in a pan. You don’t want to make it boiling hot, but just hot enough to make the marshmallows melt into it when we add them later on. After that add the milk into your favourite cup. I went for a red one to really get into the Christmas spirit. 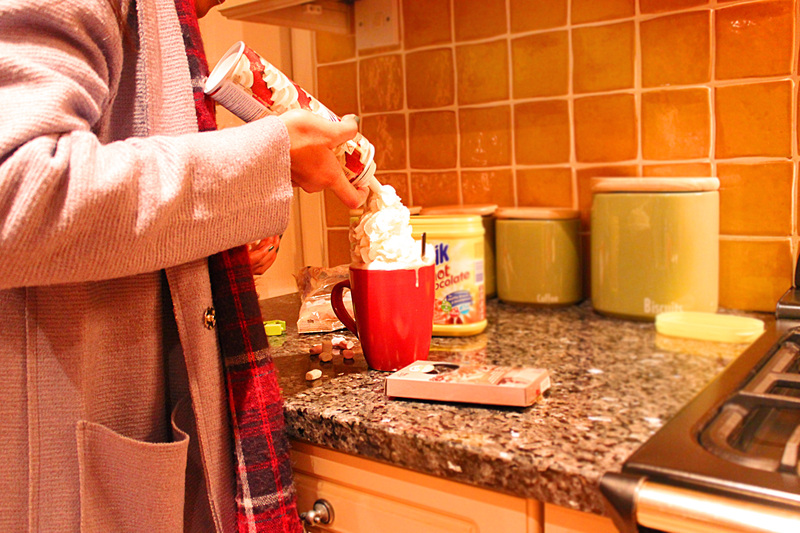 Then add the hot chocolate powder into the milk and start stirring. 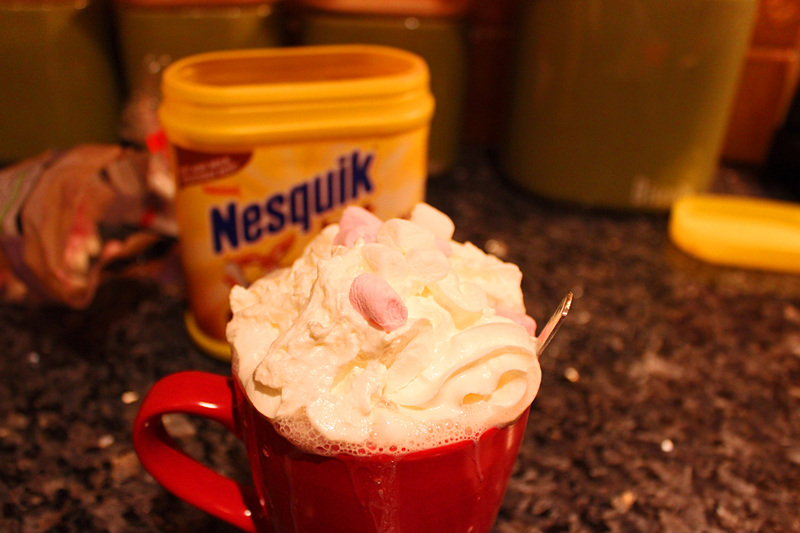 Then add the marshmallows into the hot chocolate. 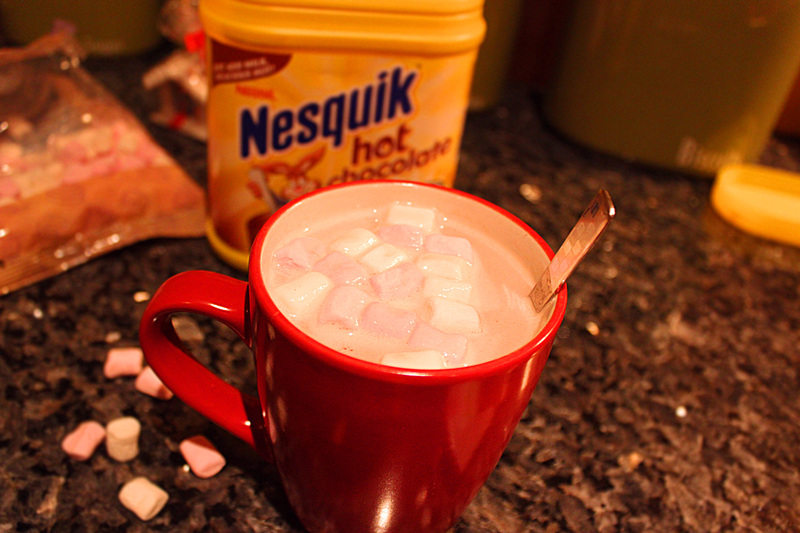 At the minute the hot chocolate will be quite hot so the marshmallows will kind dissolve into the hot chocolate. 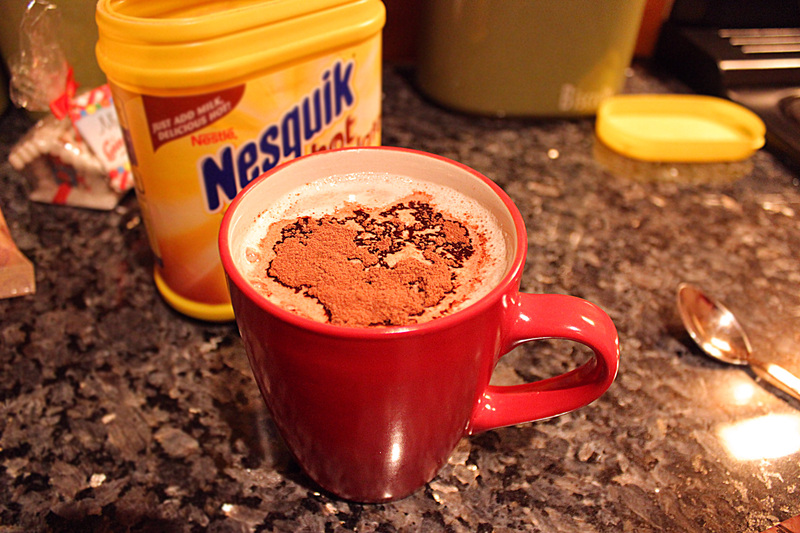 Believe me when I say that this is the best part of the hot chocolate. After that add as much cream as you want. You can just go crazy like me. Come on you need a treat once in a while so just go for it and it is not like you will be drinking this everyday (at least I hope so). I accidentally added too much cream so I had to eat the cream from the top. Then once again add some marshmallow to the drink. 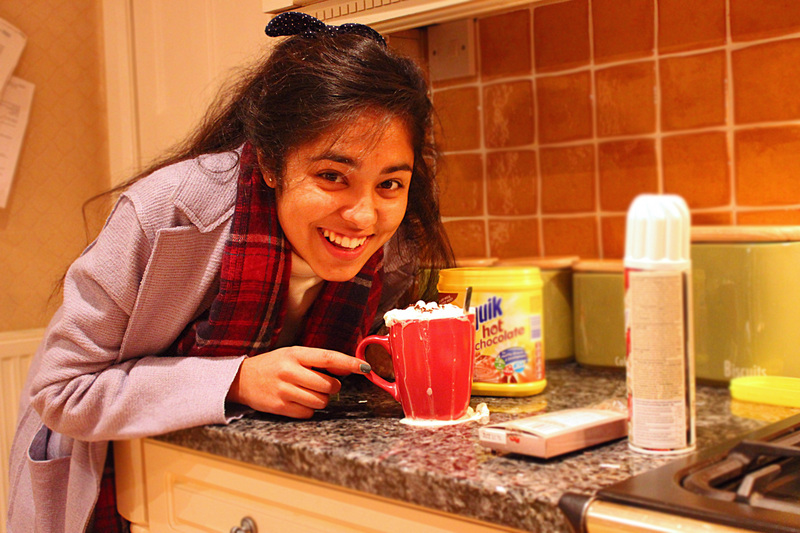 I just love marshmallows. They are just so yummy. 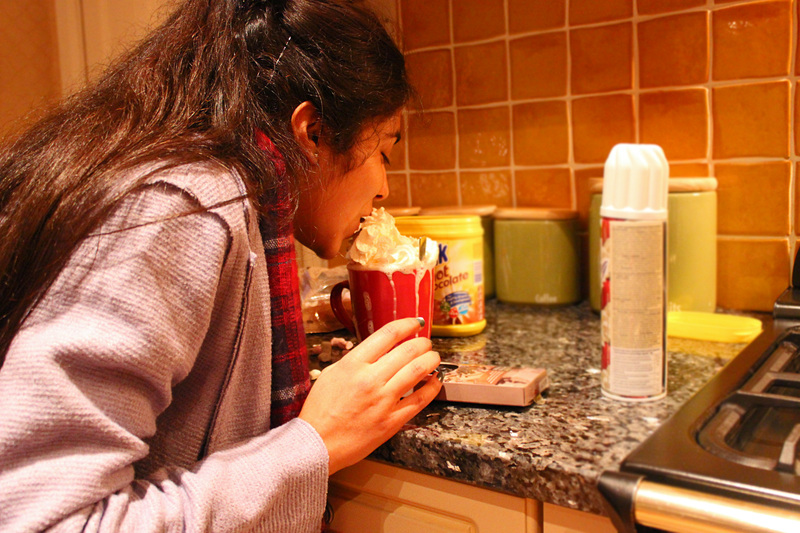 Oh and don’t forget the chocolate sprinkles. 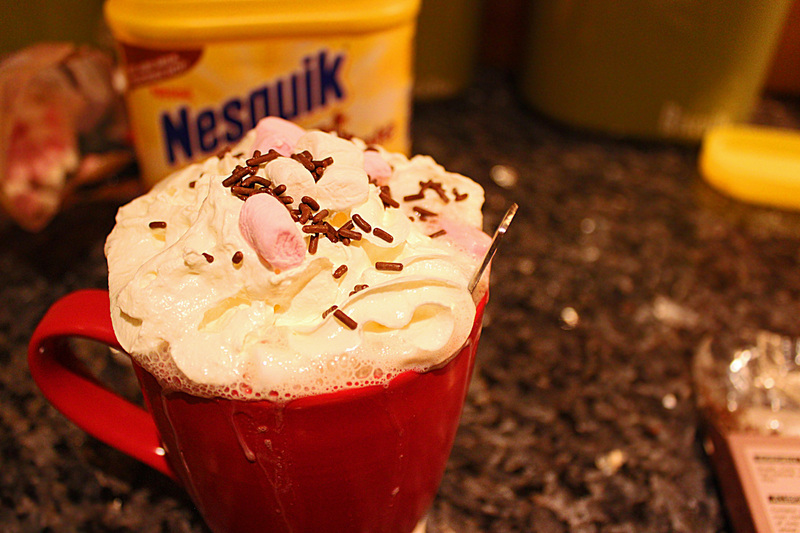 Now just enjoy your hot chocolate.